Another day of Vox announcements means another limited-edition finish for its classic AC combos, and this time, the livery has been kitted out in Maroon Bronco. The AC4C1-12, AC10C1, AC15C1 and AC30C2 guitar amps are all set to be wrapped in red, complementing the iconic diamond fret cloth we all know and love. 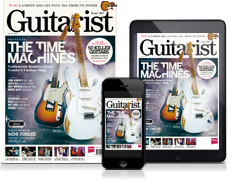 The combos will be available from October for £399 (AC4), £479 (AC10), £659 (AC15) and £999 (AC30). 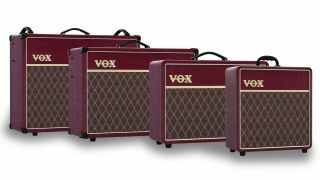 See Vox Amps for more info.